INLANSO Hindi teachers Dr Roquiya Khatoon and Dr Vivek Kumar Jaiswal with Prof. Dipak Malik. In Mussoorie. 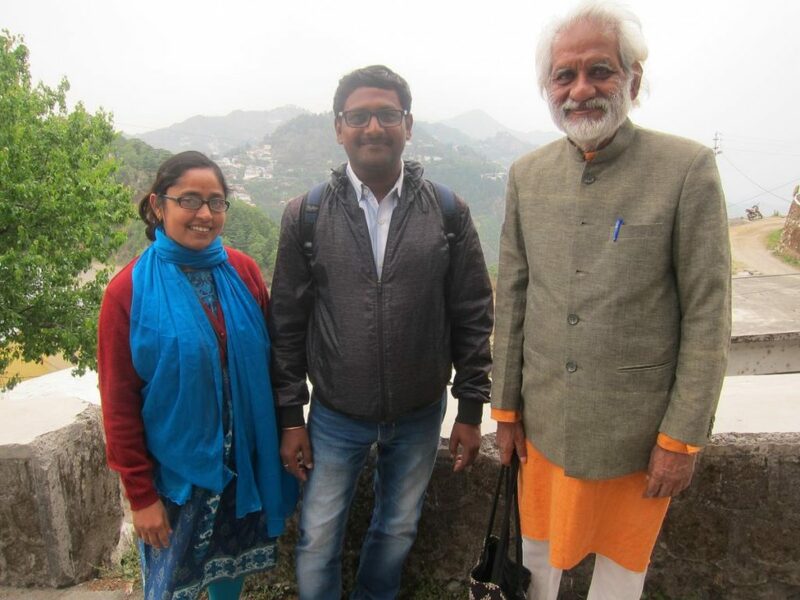 In late April-early May 2017, the NSAN editor Lars Eklund joined office for the Varanasi-based Centre for the Study of Indian Languages and Society (INLANSO), making a reconnaisance tour to visit the INLANSO study centres in Varanasi and Mussoorie. 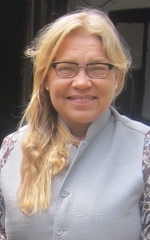 During the period 25-29 April 2017, Lars spent time at INLANSO in Varanasi – the main centre located in the Ravindrapuri Colony area of the city – to discuss with Dr. Miriya Juntunen Malik (photo), Academic Director at INLANSO, and Dr. Dipak Malik, INLANSO Managing Director, his coming work to modernize the INLANSO web site and carry out other obligations connected to his new role as being Executive Director, Communications. A part-time position he was offered by INLANSO immediately after it became clear that Lars would quit Lund University and retire from his position as deputy director for the Swedish South Asian Studies Network (SASNET) on December 31st, 2016. The work is carried out both from Sweden and India, and is complimentary to his role as editor of the Nordic South Asia Network web site and newsletter. Besides discussions with Miriya and Dipak, Lars followed the ongoing activities in Varanasi, at the time consisting of the closing part of a Hindi programme for students from Oslo and Uppsala Universities with a formal examination ceremony (see photo below). 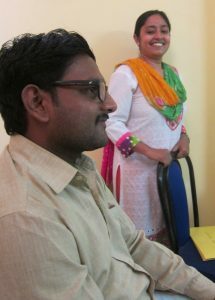 Lars also met the entire INLANSO staff, including the administrator Dr. Reba Dey(photo to the left); the local Hindi language teachers Dr Roquiya Khatoon (also teching Urdu) and Dr Vivek Kumar Jaiswal; and the student coordinator, Armin Chiocchetti from Uppsala University, an advanced Hindi student who is also involved in teaching. It should also be noted that Miriya herself teaches not only Hindi but also Sanskrit. Currently, INLANSO has partnership agreements with a number of Scandinavian and German universities, providing tailored short and long term programmes. Besides Uppsala and Oslo, mentioned above, INLANSO programmes have included students from Stockholm University in Sweden; Aarhus and Copenhagen in Denmark; and Würzburg and Göttingen in Germany, and discussions are under way to attract more universities. Uppsala students Ramu and Ulrika on way from Varanasi to Mussoorie. 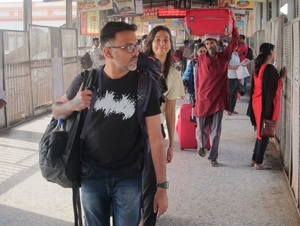 After four days in Varanasi Lars joined Armin, Roquiya, Vivek and two Uppsala students – Ramu Mudigonda and Ulrika, for a 22 hours train journey to Dehra Dun in Uttarakhand state travelling by Varanasi-Dehra Dun Janta Express. They arrived early morning in heavy rain, and from Dehra Dun railway station they continued by hired cars up the 35 km serpentine road to the extraordinary beautiful Himalayan hill station of Mussoorie, and even further uphill to Landour, on top of the mountain. Here rooms were reserved at a nearby estate for INLANSO, to launch a summer programme from 2 May, and they immediately met with Rani Panwar, associated to INLANSO and also involved in teaching. 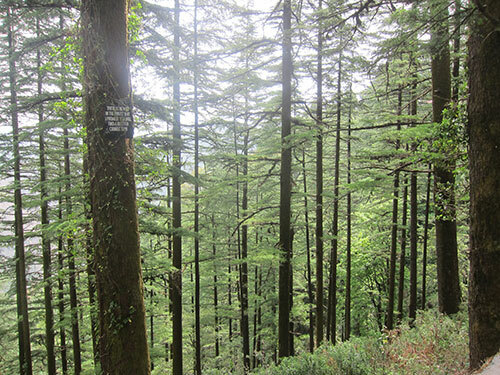 Rani took the newcomers around the neighbourhood along lovely walking paths in a most picturesque environment with forests with majestic pine trees and fantastic views. 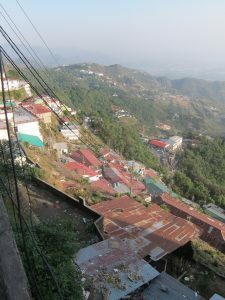 She also pointed out the famous Landour Language School and the house where Mussoorie’s most well-known writer Ruskin Bondresides. It is also the location for the Institute of Technology Management (ITM), a premier training institute of the Defence Research & Development Organisation (DRDO), an institute where Dr. Abdul Kalam worked before becoming the President of India. The area reminds strongly about Nepal, and Mussoorie was actually a part of Nepal till the British conquered it during the Gorkha wars of the 1820s. The British then built a military hospital in Landour and a church with a graveyard where many colonial soldiers were buried. During the following days, Lars followed the work being launched, and on his final day in Mussoorie, Lars again met Miriya and Dipak for a concluding discussion on how the web site should be improved. Since 2012 INLANSO, which is the educational unit of INLANSO Services Pvt. 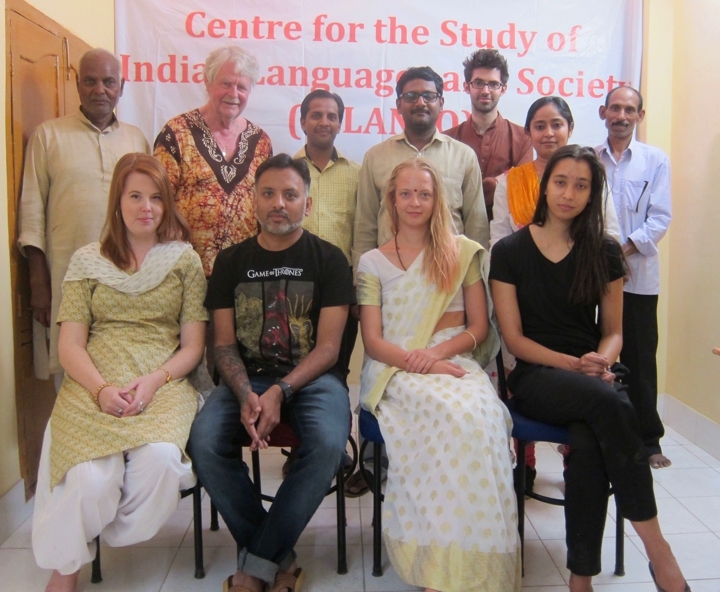 Ltd, a registered Indian company, successfully runs Hindi Study Programmes for Nordic and European students in Varanasi. The activities are however not restricted only to Hindi language studies but also includes courses on Indian society and culture. In recent years, it has also launched an Urdu programme in Lucknow, a Tamil programme in Pondicherry, and soon a Bengali programme will be set up in Kolkata. INLANSO is currently expanding its activities, teaching more languages, and attracting new groups of students. It should also be mentioned that INLANSO offers composite study packages with 20 hours of indoor and outdoor activities per week. INLANSO finally invites research students and scholars to affiliate themselves with INLANSO while doing fieldwork anywhere in South Asia. From Mussoorie in western Himalayas, Lars travelled to the eastern end of Himalayas, more precisely to Bhutan. Via a short flight from Dehra Dun to Delhi, a short stay in Delhi 4-5 May, generously hosted by Delhi researcher Shalini Grover, and a flight to Bagdogra airport in West Bengal, he reached Samtse College of Education – part of the Royal University of Bhutan that had invited him to give a presentation on Swedish Research on South Asia and existing and possible collaboration fields between Sweden and Bhutan. 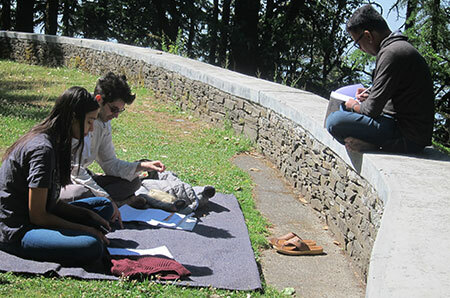 Read Lars’ report from Samtse College of Education. ​Lars spent alltogeter five days in Samtse before travelling to Thimphu and Paro and finally spent a few days in Kolkata till the 15th May, and arrived back in Sweden on Tuesday 16th May. Small farewell function at INLANSO in Varanasi for students from Oslo and Uppsala, plus the staff minus Miriya and Deepak who happened to be at conference in Istanbul. 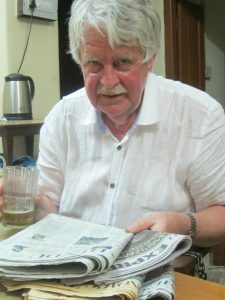 – Lars Eklund has visited Varanasi a number of times before. First time on a SASNET contact journey in 2002, read his detailed report from that tour. 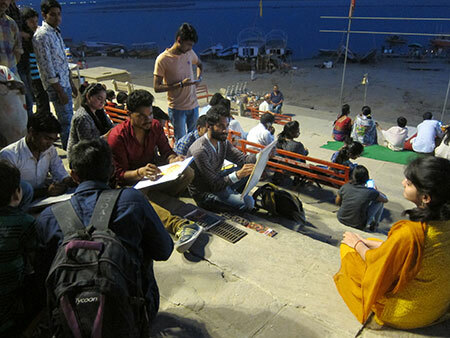 – In 2012, Lars visited the language institute that became INLANSO, read his report from that Varanasi visit.